A mosaic mural by public artist Carien Quiroga, on Flickr Creative Commons. Safety and Dignity for All. 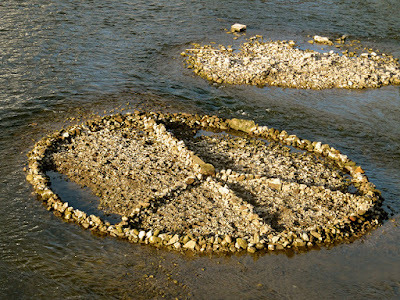 The International Day of Peace ("Peace Day") is observed around the world on September 21st. Margarita Engle, our Young People's Poet Laureate, and children's poet Amy Ludwig VanDerwater have led the way by promoting an opportunity for authors, illustrators, and teachers to share writing or art projects related to peace. 1. Post peaceful books, poems, images, classroom activities, and websites on the "International Day of Peace" padlet that Amy created HERE. It's a resource for all. 2. You are invited to use this beautiful image of a peace dove, cut from paper by artist Dylan Metrano for Peace Day 2017. Share it widely and/or use it as your social media profile picture to show your support. 3. On September 21st, post a peace-related poem on your blog, Facebook, Twitter, Instagram, etc. We're hoping to saturate social media with images, words, and other positive messages of peace. (I've already written my abecedarian poem for the occasion, but you'll have to wait until next week to read it!) 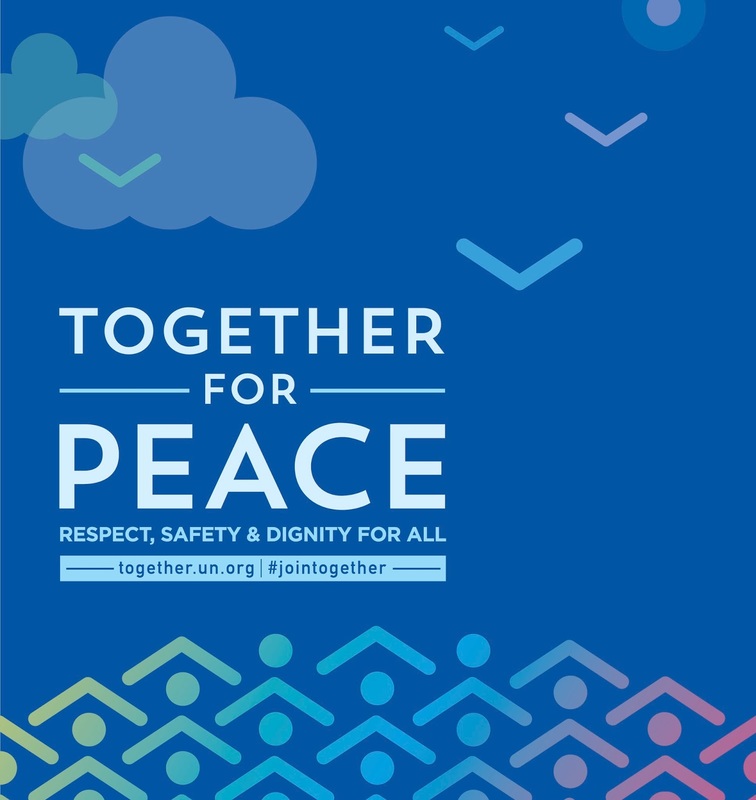 The UN's hashtags for this day are #peaceday and #jointogether. that express what PEACE means to you. 4. participate in the Five for Friday without a link. Leave your five words in a comment or email them to me at TodaysLittleDitty (at) gmail (dot) com. I will move them to the main body of the post. I'm deliberately posting early for the Poetry Friday roundup so you'll have time to ponder, but promise me you won't overthink it. Like I said, this is just a warm-up for next week! Now who's ready for a Peace party? This week I am sharing the feeling of September. My post for this week is an original "dot"poem. I'm sharing a math-y poem for Poetry Friday. At Teaching Authors we're writing about lessons learned from our students and/or from teaching. This week I have an interview with Matt Forrest Esenwine about his debut PB, Flashlight Night. Giving away a free copy to one lucky commenter. And yes, Matt's sharing a yummy recipe! I'm in with What Is a Dot? for Dot Day. At Random Noodling I have a response to my response in a Spark challenge. Kurious Kitty shares "High School Picture Re-Take Day" by Aimee Nezhukumatathil. Today, I'm sharing a tiny little poem about a colossal subject! I'm sharing the poems I swapped for the Summer Poem Swap. I'm featuring an interview with Amy Ludwig VanDerwater about her newest book READ! READ! READ! Things have been so hectic recovering from Irma that I was having a hard time coming up with something to write! I'd like to share "Quiet Days." I hope it brings a little peace to the party. I got the abecedarian fever and took on another challenge of yours. At Beyond LiteracyLink you'll find both new abecedarian poems and peace poems with my kindness dove that I created. It has been sent around the globe via Twitter many times and will make its way straight to International Peace Day. I'm sharing a golden shovel poem, FREE, inspired from a Langston Hughes poem, I DREAM A WORLD–that I read on Kay McGriff's blog last week, and new I had to do something with it! I need to get ready for next week! My post is about reading poetry aloud---- AGAIN! This week on my blog I'm sharing a little fall poem. I'm sharing two Leonora Speyer poems. Today I'm sharing David Whyte's "What to Remember When Waking". My link is a followup on the line trade by Linda Mitchell a few weeks ago. Combining challenges here. Jennifer Laffin is tweeting a daily word to jumpstart writing with #DWHabit. Today is Flutter. Today we are celebrating Dot Day with two collaborative class poems in response to Laura Purdie Salas's What is a Dot? 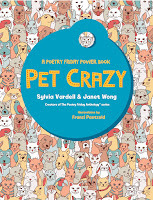 Speaking of PET CRAZY (congrats to the giveaway winners), I have my poet-poem from Pet Crazy today. Global Read Aloud author Victoria Coe and I partnered on a mini-poetry workshop pairing her book Fenway and Hattie (the GRA early reader selection for 2017) and my poem "Lost and Found." If you're doing GRA with students, stop by! I just started a blog in the last week. Have a look, if you like. My last post shares a nursery rhyme about Mrs. Bond and her ducks. At The Poem Farm, I share my latest SPARK 34 collaboration with artist Jonathan Ottke. My Five For Friday is inspired by being out in the country away from light pollution. There is peace in the constancy of the stars. At A Year of Reading I have a third Bike Ride Blessing poem--a counting out rhyme. I have guests on A Great Nephew and a Great Aunt. Tim McCanna and his son Nate are collaborating with a poem and art. Their collaboration highlights their shared love for Dungeons & Dragons. Fields planted, crops ripened, harvest. I bring a haiku this week and an excerpt of the abecedarian you featured. I took up the abecedarian challenge for today's post with a Taste of Fall. I posted Evening by H.D. (Hilda Doolittle). I have a memoir poem about my maternal grandfather titled SUMMER RITUAL. My post today celebrates Amy L-V's new book: Read! Read! Read! I'm so laaaaaate today! My post is a work in progress but I hope to be done by 3:30! I'm in poetry love with Amy Ludwig VanDerwater's Read! Read! Read! No post for me, but I'll give you Floridians five words. It's been a week. First full five days of school. A concrete-ish version can be found at my blog. Actually understood a German word. but 5-word peace-ditties are still welcome. 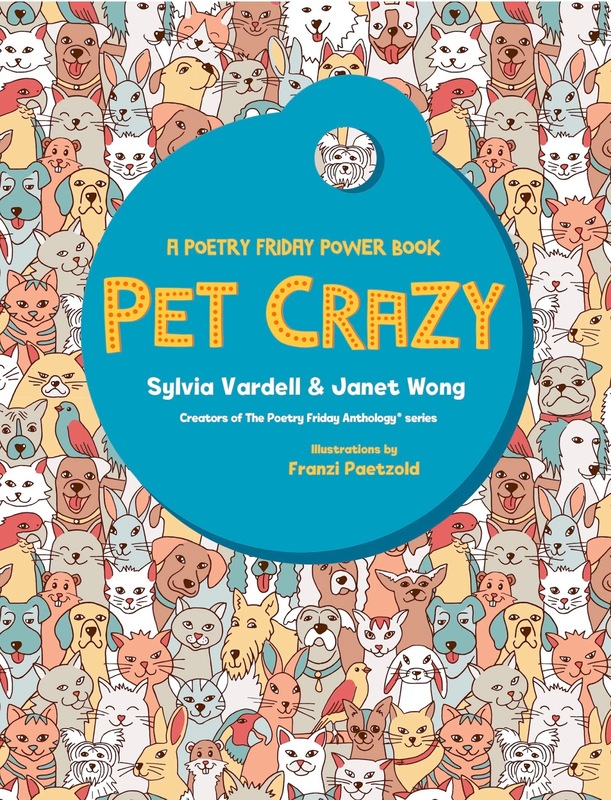 You've won a copy of PET CRAZY: A Poetry Friday Power Book (Pomelo Books, 2017). Please send me an email at TodaysLittleDitty (at) gmail (dot) com with your addresses. Have you written an abecedarian poem yet for Carole Boston Weatherford's DMC challenge? To add yours, post it on our September 2017 padlet. Featured daily ditties this week included poems by Maria Marshall, Tabatha Yeatts, and Mindy Gars Dolandis. Woot! I won I won I won I won! I will e-mail you snail mail address. Can't wait to get Pet Crazy into the hands of my students...and their teachers! This week I am sharing the feeling of September at A Word Edgewise. Happy Poetry Friday, everyone. I really look forward to expressions of peace. Boy, do we need it. Love "A full day's yawn"! I think we need to plant a Hope garden! Your 5-word ditties are definitely peace-inducing, Michelle. <3! Thanks, Tabatha— I feel the same about yours! Love how the blossoms are "coaxed" by the sun. Okay (she says, catching her breath) I'm back! The link above goes live Friday morning. 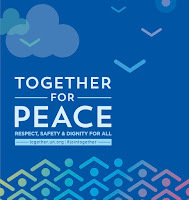 Thank you for posting the info about the International Day of Peace. Second, your brief poems are wonderful...I can't even pick a favorite. Each of them made my heart stop. I soaked in the utter peace you convey with each and how that would feel. Let me rephrase that: how that WILL feel. Maybe the rest of your poems were "all over the place," but not this one, April. This is spot on! My link will go live at 6 a.m. Friday morning. Thanks for hosting this week, Michelle! I'm so ready for this wish to come true! Thanks, Jama. You're so right, Diane. Fear is the anti-peace. I'll think about the peace party. Meanwhile, thanks so much for hosting! You sure didn't have a hard time coming up with something to write when it came to the Five for Friday, Rebecca! Way to go! 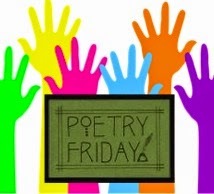 Thank you, Michelle, for hosting Poetry Friday, the ditty challenge, and a Peace Party. What an undertaking for September! I got the abecedarian fever and took on another challenge of yours. 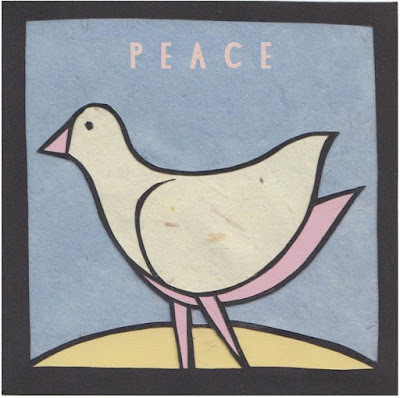 Here are both new abecedarian poems and peace poems with my kindness dove that I created. It has been sent around the globe via Twitter many times and will make its way straight to International Peace Day. http://beyondliteracylink.blogspot.com/2017/09/abecedarian-fun.html - I am at a State Ed Conference and off to my grandbaby's christening in Virginia so I will be slowly making the rounds of PF writers. Your kindness dove is a beautiful messenger, Carol! What a beautiful, meaningful celebration of peace - I will absolutely join in, and I'll be thinking about it during the week! YEAH! Thanks for the book! Sending you an email (and working on my 5-4-5). I've seen Margarita and Amy's posts about the International Day of Peace, but haven't made specific plans yet. Thank you for reminding me! Today I'm sharing David Whyte's "What to Remember When Waking". Thank you for hosting today, Michelle! Thanks for the heads up and opportunities! Here's my link for today. It's a followup on the line trade by Linda Mitchell a few weeks ago. Thank you for giving us a preview of next week's Day of Peace, Michelle. Congratulations on the new blog, Bob! I tried to leave a comment on your post, but could not for the life of me figure out how. Sorry! http://www.poemfarm.amylv.com/2017/09/spark-34-seek-out-challengewith-deadline.html Peace to you and yours. x, a. Your Five for Friday shines brightly, Mary Lee! Yay! I won a book. Thanks to Pomelo Books, Sylvia and Janet and you, Michelle. I bring a haiku this week and an excerpt of the abecedarian you featured. I love how you came to these five words, Brenda. I'm headed over to the padlet once I leave here. Then back to read and enjoy more poetry! I love your hopeful approach to the Five for Friday, Kay. Michelle, thanks so much for hosting the roundup this week. I hope I can come up with something about paece for next week. At Wild Rose Reader, I have a memoir poem about my maternal grandfather titled SUMMER RITUAL. Love your Five for Friday, Linda. You're so right—change starts small. Thanks, Michelle, & all, for a heart-warming warm-up over here! Smiling is such an easy thing to do, and it makes such a difference! Love your ditties, Michelle. No post for me, but I'll give you Floridians five words. I agree with Tabatha, Buffy. Really nice! Sorry to be late. It's been a week. First full five days of school. Late to the game because what Jone said. Dilly of a week, and I don't even have weather to blame! Also got my Abecedenarian post on the Padlet today! A perfectly peaceful prelude to tomorrow's day of peace, Michelle.